GEARING UP FOR CANADA DAY & THE PAN AM GAMES! We are gearing up for a busy July! We could not be more excited for the Toronto 2015 Pan Am games! Hamilton is hosting the much anticipated soccer events just down the street from Ottawa Street! In the spirit Canada Day we decorated the storefront window of our Hamilton store with some super fun accessories, all on consignment of course. 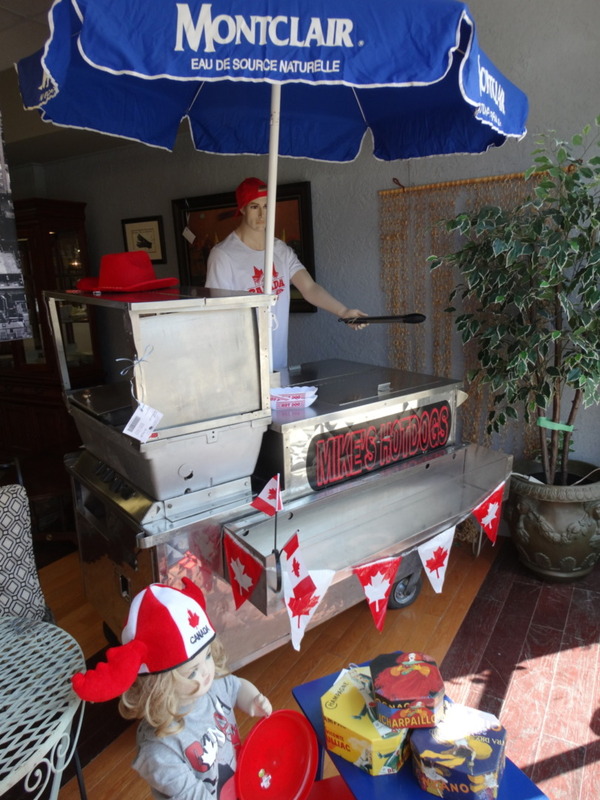 This one’s a first… we’ve got a HOT DOG stand for SALE! Our newest addition Mike the mannequin causally flipping burgers! Nothing says summer like your very own hot dog stand…? The Millionaire’s Daughter stores will be closed Wednesday July 1, 2015 for Canada Day.